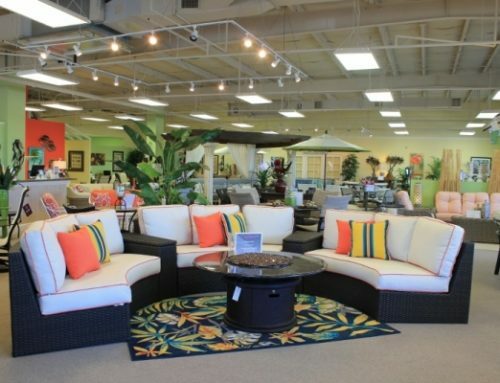 In recent years, fire tables have been creating a ‘must-have’ buzz and causing quite the demand among customers purchasing outdoor furniture in our Elegant Outdoor Living stores in Naples, Bonita Springs, and Fort Myers. Our customers want the fire pits for the conversation piece and the ambiance. It is the newest ‘toy’. New to Elegant Outdoor Living for 2016, We have partnered with Firetainment Fire Tables to help satisfy that demand and help our customers create the ultimate experience entertaining in their home. Making the right decision to purchase a fire pit table comes down to quality, style, and performance. The mesmerizing charm of an open flame in the convenience of your own home is captivating and intriguing. 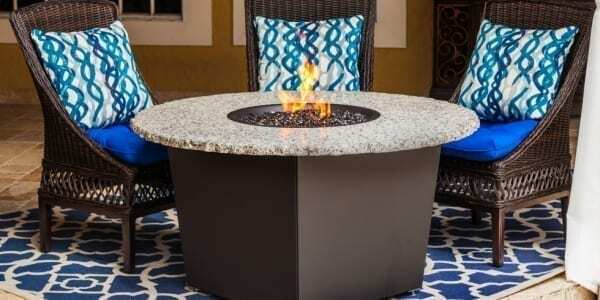 After you have decided that a fire pit table is “the new toy” you and your family need to spice up your life and outdoor entertaining space, the next step is deciding on the style. Every brand is not created equally and at Firetainment they have done the research for you so that you can make the best and easiest buying decision that fits in with your personal and home style. 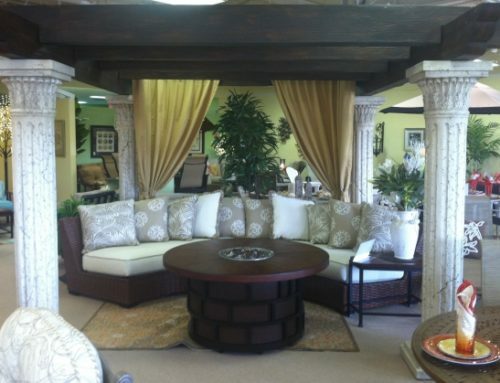 When buying a large piece of luxury furniture like a fire pit table, we think one key component is the warranty. Firetainment offers the longest limited warranty out of any other fire pit table manufacturer. What is your home style? 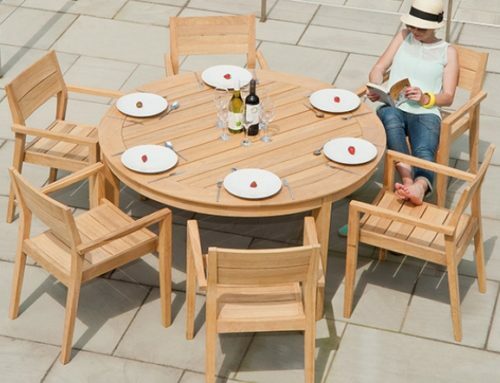 When choosing a fire pit table, the actual table top is of major importance. Firetainment offers beautiful and flawless granite table tops with 4 different colors to choose from and new for 2016, quartz tops. Granite will not fall victim to rust or grout, or change colors over time if appropriately sealed. Firetainment’s fire pit tables are made in the USA! Buying Firetainment increases our country’s economy and creates local jobs for US citizens. Firetainment offers fire pit table styles that will match your modern or traditional decor with suitable sizes ranging from a family of 2 to a family of 8. Did you know Firetainment is the only fire pit table brand that offers the vast cooking options of a griddle, wok, and Dutch oven?! This allows you to create the ultimate home entertaining experience. 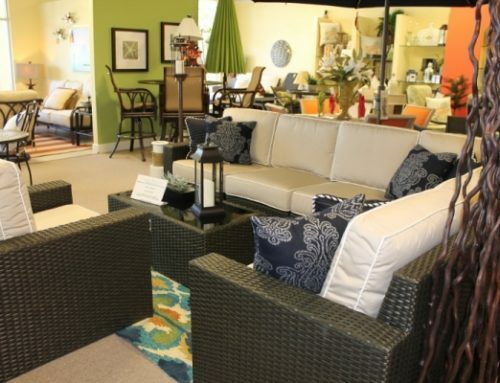 At Elegant Outdoor Living, we have several options with in stock seating to accompany your new fire pit table in outdoor wicker, aluminum, and wood. 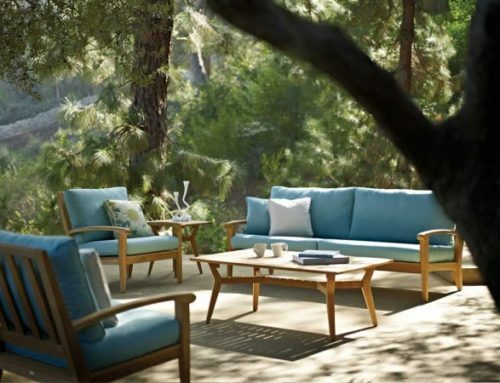 Whether you would like to add an in-stock fire pit table to your existing outdoor sectional or you need a whole new seating group, we are here to help you design and create the most beautiful outdoor space in your home.